The words “Product of Australia” on exported foods carry with them critically important attributes about all aspects of quality assurance. Overseas companies buy with confidence secure in the knowledge that Australia has the farming systems, processing and storage procedures in place that meet their own and their customers requirements. 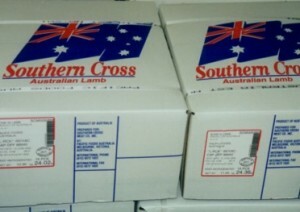 Sheepmeat and beef processed in Australia carry a range of credentials that importers and consumers recognise and value. 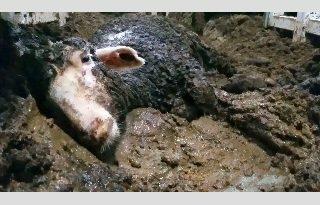 In contrast live export animals are a basic commodity and are open to all sorts of assurance failures. With sheepmeat and beef, Brand Australia is a selling point, it sits alongside company brands at wholesale and retail level. In contrast Brand Australia does not exist in sheepmeat and beef processed from live animals exported for slaughter overseas. What stands out in the controversy over the trade is the failure to apply business principles to the sector. The most obvious principle missing is the inability of the trade to guarantee acceptable animal welfare is in place particularly during the slaughter process. This means the trade will constantly be under threat from actual and unsubstantiated cruelty accusations. These have greatest impact in Australia where consumers will be influenced to avoid eating red meat, and livestock farmers perceived as exploiting animals for financial gain without regard for their welfare. Live export companies cannot rely on the government’s animal welfare assurance program, the Exporter Supply Chain Assurance System, to make the trade acceptable because it does not guarantee stunning before slaughter. It is incredible that under the current protocols a livestock farmer cannot sell stock for live export secure in the knowledge that every animal will be adequately cared for and stunned before slaughter. The problem with this government Assurance System, is that like most animal welfare codes of practice, it is process orientated not outcome responsible. This means that parties sign off on processes engaged in but take no responsibility when an animal cruelty outcome happens. For the live export trade of slaughter and breeding animals (don’t forget breeder animals are eventually slaughtered) to have any credibility then the commercial companies involved must be able to give a guarantee to the farmer who sells livestock to them that animal welfare outcomes are real and not just red tape from farm gate to slaughter irrespective of the stages involved in-between. At the end of the day it is farmers credibility as livestock producers and marketers that is being called into question by animal rights groups. Ironically livestock farmers representative organisations on-mass agree with the trade continuing based on animal welfare being protected via the Exporter Supply Chain Assurance System rather than on real outcomes based assurance programs. Consumers are becoming more astute at picking the difference between “red tape” welfare and real welfare, animal rights groups understand this. But farmer representative organisations don’t understand the differences and have subsequently allowed animal rights activists to take control of the livestock welfare agenda and possibly the future for live exports. Had the farmer organizations been on the front foot and demanded independent, transperent third party monitoring of livestock welfare along the supply chain through to compulsory stunning at slaughter (for example engaging the RSPCA as auditors), the current controversy would not exist. The Animal Rights groups would still have been active but their target cause would be centered around the use of animals for food, not the far more consumer influencing revelations surrounding cruelty to farm animals involved in live export. The second marketing principle live export misses out on is the role of value adding to boost product value as well as create development in regional areas. Australia’s agriculture has been built on selling commodities for businesses in other countries to add value to. It’s a failing marketing model as terms of trade have eroded commodity prices for forty years. In other words, the real prices for commodities and food are around 50% below what they were in the 1970s. Smart farm businesses are increasingly shifting away from selling undifferentiated commodities to selling products with consumer desired attributes that add value and ethics to their choices. Live export animals are the antithesis of this marketing principle. 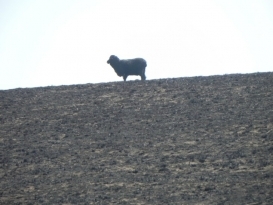 They are undifferentiated, non-value added commercial products that, especially with sheep, carry no recognition for the farmer(s) who bred and raised them. In contrast, Australian export beef and lamb is marketed around the world with full recognition of being Australian (even regional), often with a processor brand, and increasingly with a story about the farmers involved in breeding and rearing the livestock and how they look after their environment. Value-adding is the most useful tool Australian farmers have available to increase the price they receive at the farm gate and to assist future profitability. It has far more chance of ongoing success than the much heralded productivity push which will be frequently curtailed by lack of rainfall and relies on increasingly costly inputs. It’s a strategy virtually all professional farmers are engaged in one form or another with the exception of those who sell animals for live export slaughter. The reasons why some farmers sell into live export markets are understandable – it became their only outlet for particular classes of livestock. It was the simple alternative solution the industries and governments took to avoid investing capital in meat processing in the Top End for cattle and in south west WA for sheep. But it is a marketing method that without significant animal welfare and product value-adding reform has passed it use-by date. WA premier Colin Barnett has flagged what he hopes is a change to the live export industry in an October ABC radio interview. “I would hope that maybe over the next 10 – 15 years we can progressively transition the industry from live export to chilled meat or carcase exports. I would hope that we would see the animals killed here and exported, perhaps not as processed meat but maybe as whole carcases or half carcases,” he said. It could be that the Premier was taking note of some abattoir ownership changes taking place in WA. Three live export companies have purchased abattoirs, Wellard Group has purchased Beaufort River Meats with a capacity of 2500 head a day; Jack Burton a Kimberley pastoralist and live export cattle producer has purchased Gin Gin abattoir and is building another between Broome and Derby to process 250 cattle a day ; Livestock Shipping Services (a Jordanian based company) has purchased Hillside Meats at Narrogin with a capacity of 1500 sheep per day. Burton’s speech at a recent conference in WA highlights some of the shortcoming with exporting live animals. He emphasised the importance of producing food rather than commodities such as live animals for export. “The biggest thing that we came to realise in our business (pastoral cattle breeding) is … we produce food. But let me tell you for the last 20 years of my life in the cattle industry nothing has gone over the front grid of my property on a truck that you could actually eat. And up to until recently, if you asked me who my customers are I could only name four. “So I thought maybe instead of putting that animal on a truck, we put it in a box and potentially reach millions of customers and that is what started this (investment in processing works). “I like a lot of people thought live export was the way to go. It was pretty obvious, as there were 250 million people you could throw a rock on from Broome and they all needed a feed. It doesn’t get any better than that. Then over the next five years the rot set in. I call it a death by thousand cuts. “Out of those 1000 cattle we put on the boat in 2001 we were now getting told what could or couldn’t go. So out of those 1000 cattle we put on the boat in 2001, we would be lucky to put 300 on now. That meant we had 700 cattle we needed to find a home for. So with less and less cattle being accepted we thought if this is extrapolated out over another decade and we take another couple of hits, we are in a situation with live export where we can’t pay the bills. It may come to the point where people won’t do live export. Burton has also invested capital into building an abattoir near Broome. Some overseas investors have joined the initiative. Live sheep exports – Where is evidence WA sheep farmers rely on it for business survival?